Intel has described its next generation NUC computers in detail and the US company has unveiled some interesting details. The US chip giant will debut two new models called Baby Canyon and Arches Canyon and both of them will come with a fair share of differences. Baby Canyon will be based on Intel Kaby Lake processors and it will not differ much from current Intel NUC computers – it will measure 115 x 111 x 51 mm for the version with support for a 2.5-inch storage drive and 115 x 111 x 35 mm for the version that does not allow users to install a 2.5-inch storage device. Baby Canyon will instead come with an M.2 SSD slot as well as a PCI-E x4 slot, Intel 802.11ac Wi-Fi, Bluetooth 4.2 and WiDi. 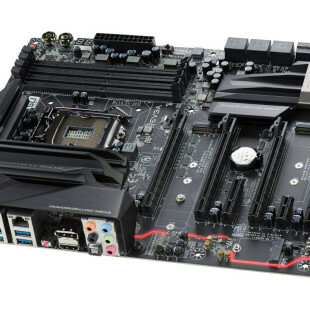 The device will also have a HDMI 2.0 port, a DisplayPort 1.2 connector and integrated graphics. Users will be able to choose among an Intel Core i7 processor with TDP of 28W (model NUC7i7BNH), an Intel Core i5 processor with TDP of 15W (models NUC7i5BNH and NUC7i5BNK) and an Intel Core i3 processor with TDP of 15W (models NUC7i3BNH and NUC7i3BNK). You will be able to install up to 32 GB of DDR4-2133 memory inside your Baby Canyon NUC. Arches Canyon will ship with an Intel Celeron J processor with TDP of 10W on the Apollo Lake architecture. 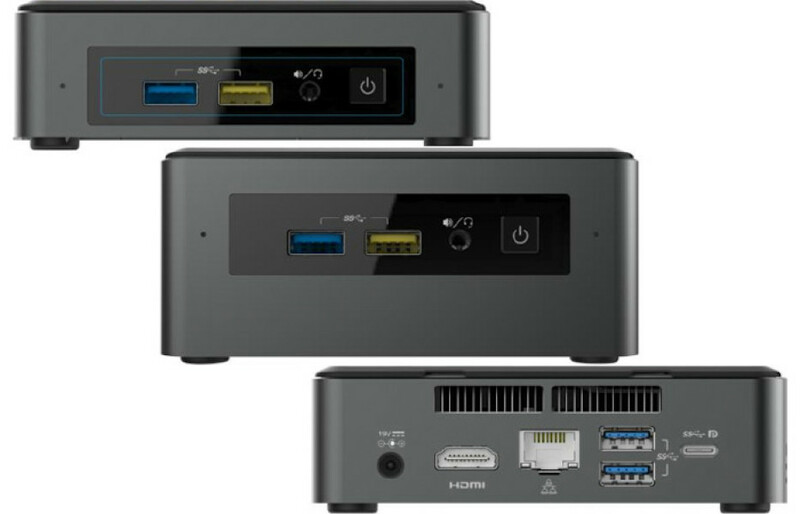 This NUC computer will have two versions – the first one will feature 32 GB of internal memory and 2 GB of DDR3L memory, while the second version will lack both internal memory and RAM. This will give users the freedom to choose the storage drive and the memory they need and want. Arches Canyon will, however, not support M.2 SSDs but you can install a 2.5-inch SATA 3.0 storage drive. The device will also support Wi-Fi 802.11ac and Bluetooth 4.2 and will have two USB 3.0 ports up front as well as a HDMI 2.0 connector. Both new NUCs will come with a microSDXC memory card instead of the SDXC memory port featured in current Intel NUCs. Arches Canyon will arrive by the end of 2016, while Baby Canyon will be with us in early 2017.